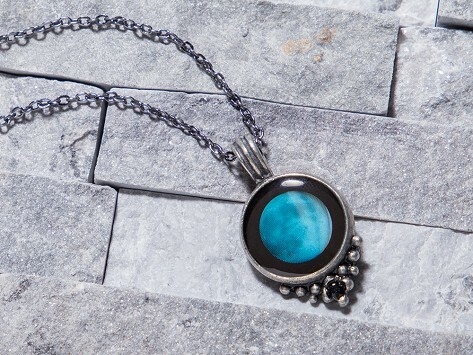 Enter a birthday or special date, and Moonglow will make you a custom necklace that corresponds with the Moon Phase on that specific day. Hang the moon around your neck. 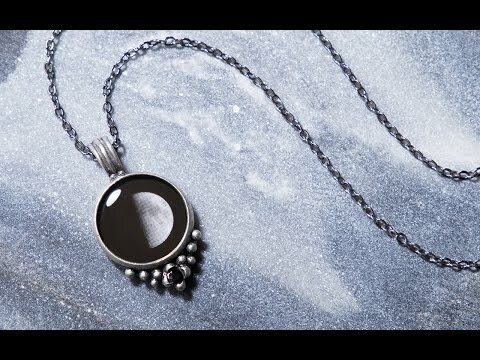 A moon phase necklace captures the moon from any date and places it into a pewter necklace full of meaning. Choose a special date—like a birthday or anniversary—to keep special occasions and dates close to you. A tiny black crystal lends a touch of sparkle to the antiqued, vintage-inspired design. Dimensions: Pendant: 0.6" x 1.05" x 0.11"; Chain Length: 18"
Love it! And it glows at night . This is the perfect unique gift for a special occasion or birthday. I bought it for my daughters 17th birthday. It’s a pretty design too. My daughter loved this necklace and the story it came with. She thinks it is very cool looking. Even more beautiful in person. Love it so much!